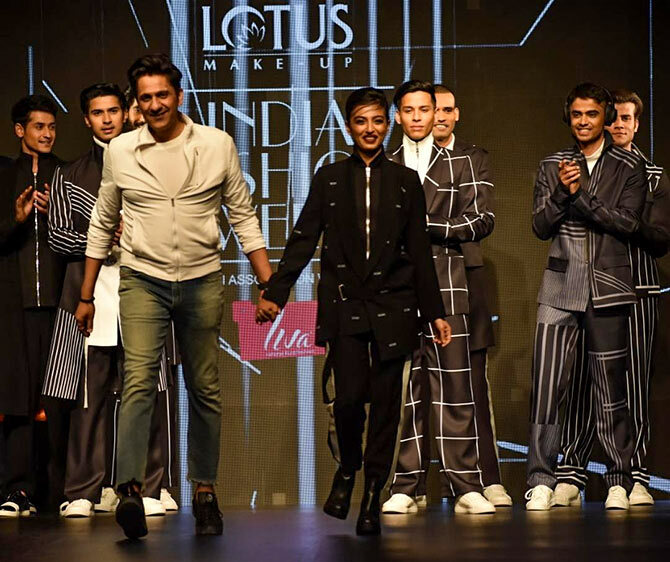 The eye-catching moments of the Lotus Makeup India Fashion Week in Delhi witnessed the elegance of black and the divas who flaunted in black! From Radhika Apte, Diana Penty and Aditi Rao to Aparshakti Khurana and Jim Sarbh, the showstoppers made sure the event had its fair share of glamour. 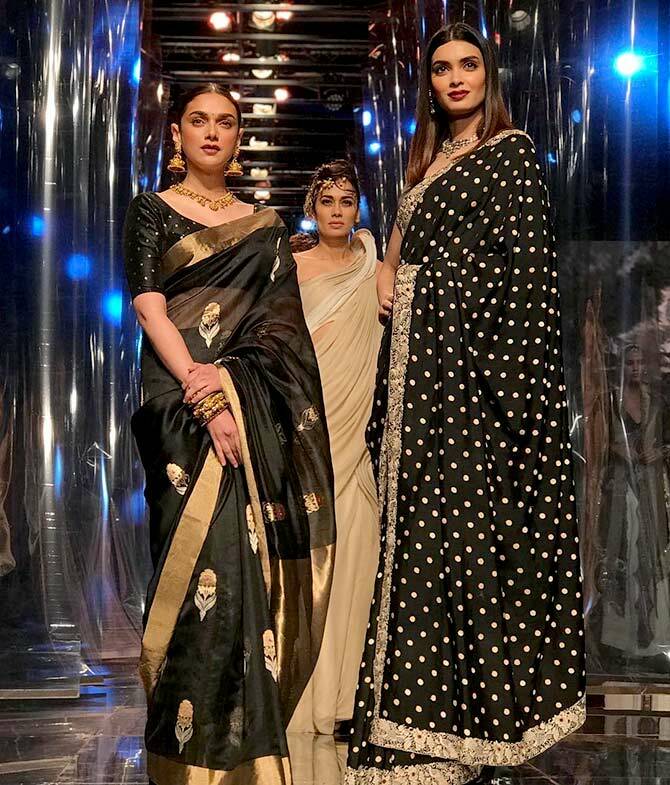 Aditi Rao Hydari walked for the show ‘Six Yards of Love’ where 21 designers showcased their innovative sari creations. Aditi looked beautiful in her mother’s black and gold handloom sari.